Foreverlawn Ltd - Landscaper based in Wombwell, South Yorkshire. In 2011 after 12 months research The Floor Trader advanced its growth with the development of ForeverLawn ltd using at the time a virtually unknown product that the public could only relate to as Astro turf ! which is a artificial grass product used in the sports industry. 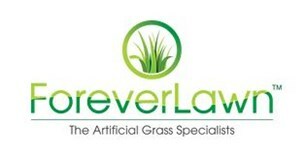 ForeverLawn today is the most recognized brand of artificial grass in the UK retailing the highest quality products on the UK market with staggering real effect products up to 65mm pile height and ForeverLawn Ltd still have the claims to the Worlds softest most realistic artificial lawns. From initially just a few small samples to literally a couple of thousand rolls of stock at their disposal ForeverLawn Ltd is still the market leader and a hard act to follow. ForeverLawn Ltd professional profile over the years has been highly established exhibiting at major trade shows like BBC Gardners World LIVE ! in 2014 at the NEC Birmingham where ForeverLawn Ltd sponsored the BBC Gardners Inspiration Center with a 325 square metre display of artificial grass introducing a “Fine Strand” product never seen in the industry creating unrivaled attention. Later that year ForeverLawn Ltd exhibited at Grand Designs LIVE 2014 at the NEC in Birmingham with huge success returning again in 2015 and 2016 keeping the brand at the pinnacle of the industry. The Ideal Home Show at Event City in Manchester was also a huge success in 2015 and 2016 where ForeverLawn introduced their incredible English and American Lawn collections again taking their products to a different level of reality. All these trade shows have been totally exclusive to ForeverLawn ltd with no other artificial grass companies at any of these events establishing the ForeverLawn brand as a house hold name . All ForeverLawn installation teams belong and work for the company offering that personal service… their testimonials say it all ! July 2017 has now seen ForeverLawn Ltd complete their first 400 square meter Show Site at Strawbridges Garden centre on the A635 road in Darfield , Barnsley displaying their incredible collections to view with the ultimate visual effect. With over 1200 installations completed to perfection with total customer satisfaction…you are in good hands ! Doncaster . Rotherham. Barnsley. Sheffield . Wakefield . Retford. Worksop. Leeds. Chesterfield. Pontefract . Castleford. South Yorkshire. West Yorkshire. North Notts.